I used to think rice was just plain old rice. I went to the asian markets and bought the cheapest rice available. I mean how different could rice taste? Well, now that I’ve tried the best, I won’t ever go back to the cheap rice I used to buy. I heard people talking about koshihikari on tv and decided to give it a try. When I took the first bite of my new koshihikari rice, it felt as if each grain of rice was alive. Each grain was perfectly fluffy and the taste was heavenly sweet. It didn’t have a chalky texture the cheap rice had. I knew I was going to have a second bowl! I know that white rice doesn’t have a lot of nutrients and vitamins, so I started doing some research. I wanted a koshihikari brown rice without the rough texture. 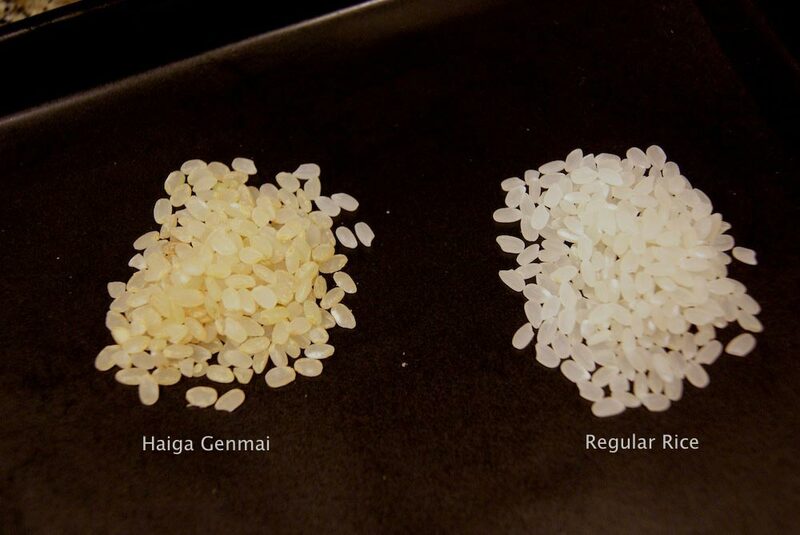 That’s when I found Haiga-genmai (half-milled brown rice). It contains twice the minerals and vitamins of white rice and it doesn’t have the rough texture of brown rice. So these days, I usually buy the koshihikari haiga-genmai. I still use the koshihikari white rice when I make fried rice or omurice. The koshihikari rice variety is twice as expensive as regular rice, but it’s definitely worth it when you think about taste and health!